By Toby Fox. Arranged by Chrissy Ricker. Sheet Music Single. 3 pages. Published by Chrissy Ricker (C0.546226-MCMP-001-63). 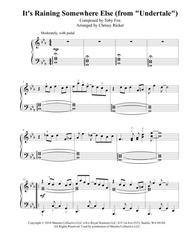 This is an intermediate (level 4-5 of most method books) piano arrangement of "It's Raining Somewhere Else" from the Undertale video game. 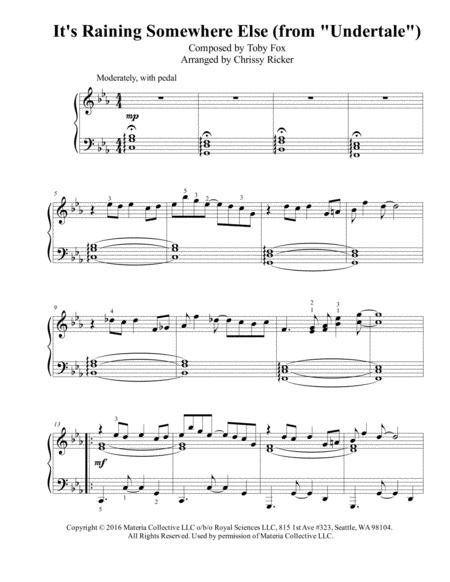 Check out my publisher page on Sheet Music Plus for many more video game arrangements!